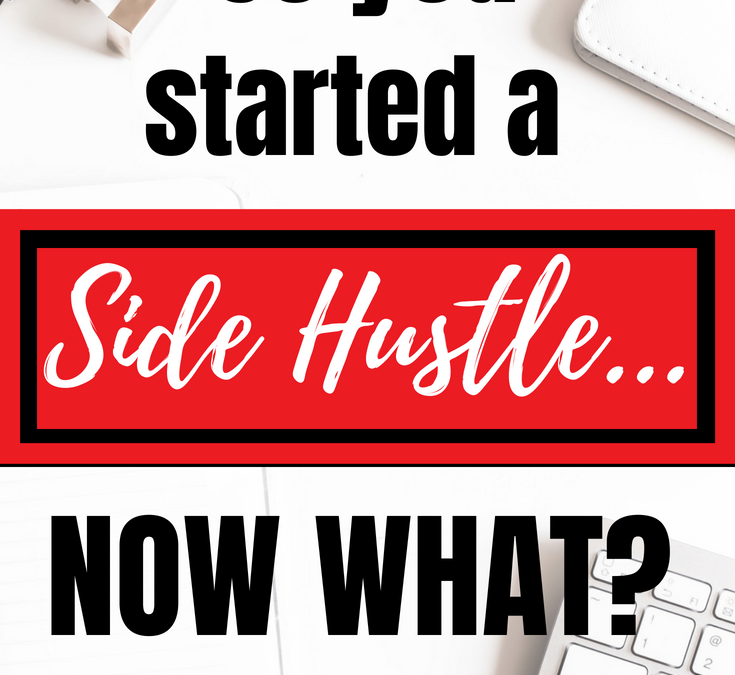 So you started a side hustle. What Now? Have you started a side hustle. What now? It’s no surprise that many more people are taking side jobs in addition to having a regular job. The freelance economy is growing like a wildfire. But it’s not always about raking in extra income. Side hustlers lean toward “FREEDOM,” in other words, the ability to travel, to be a digital nomad, to spend more time with family and to work from the comfort of their homes to name a few. Yes, money is a big factor here, but to become a successful business owner. Who knows, your side hustle can potentially become your full-time job or maybe even cross the salary of a full-time job? You may be someone’s boss! I have already updated my social media and told my friends and family that I am investing my time into something on the side. If you are at this stage, let me tell you that you are not alone. Almost all side hustlers go through this phase, the “What Should I Do?” phase. Nothing to worry about, we got you! What is an employee mentality? It’s the mindset where you think like an employee, who only works to impress their boss, cannot think outside of the box and have a constant fear of losing their financial security instead of working for personal freedom. Yes, it is necessary and significant to have a backup plan to fall back on. It means you are more of a follower rather than a leader. But you do not have to be a leader to make your side hustle work and be successful. However if you do not value yourself and your time, you will struggle to take a risk, and you will more likely go back to the usual job that you might hate, or maybe you decide to do nothing, just because it’s hard. So throw away that mindset, think like a business owner. What do business owners do? They place themselves in an authoritative position, take charge and don’t work to impress anyone but works to grow and improve. With each job you are becoming more experienced, you will learn more than you knew before the gig. Learning and growing should be your passion and motive. Now that we know that we have to think and be like a business owner, start planning. Without a plan or strategy in place, you will not know where to go next or even realize, if you are making an impact or not. Should you decide to replace your day job with your side hustle in a month? Even if you could do that; don’t take that pressure. “Why not? Aren’t I supposed to think like a boss?” Yes, you should think like a boss but don’t be irrational. You have to admit that with your regular job and life, it is better you take things slow. Taking small steps will give you clarity as you go, plus you need to see if the side hustle you chose will suit you or not. Will it be something that you will love to do for the next decade? Yes, you can change your side hustle, no problem. You don’t need to and should not limit yourself to something that you chose the first time. It’s a big world, take your time to explore and find out what works best for you and your life. Plan to use your side hustle to cover monthly expenses but, one at a time. Let’s say; you spend $500 on rent $300 on transportation, $350 on food, $60 on insurance $50 on the phone…. Write them on a paper from smallest at the top to the most expenses at the bottom. Set a goal to cover one or two monthly costs at a time as you go along with your side hustle. Check off the items on the list that you will include or have covered that month. Having a plan will help you not to burn out quickly, and it will be a lot easier for you to keep track of your progress. One day will come when you can cover all monthly expenses, and it will give you the freedom to leave your day job if you want to. Side hustle allows you to learn the ropes of the business without the pressure of losing a career or paying other employees. You should take full advantage of it. It is essential that you surround yourself with the like-minded individuals. People who know the value and experience first hand of what it takes to build a business. By solely conversing with them, you shall learn a lot. You might be just starting but to transition from an employee to a business owner; you have to think like a business owner. So, join local social groups to attend networking events, join various Facebook groups or forums. Go where you will get interactions with people who are like you or could be your potential customers. Both work fine. Other than solely talking to people, you can consider finding a mentor. Your mentor does not have to be someone renowned who has worked with thousands of others like you. But you can also consider finding someone who is well established in your field to work with or help you build relationships which are as useful as other ways. What mentorship can do for you? A mentor will provide you with the experience not shared in the books. Experience is an incredible asset and it can literally guarantee you, side hustle success. There is only so much you can get from a book. But with one-on-one interaction with a mentor, you will build confidence. It will help you to adapt to future hurdles along your journey. These have been five steps you should take just after launching your side hustle. The end goal should be to build a nice cushion for yourself. Do not stress yourself to earn a full-time income in the first month. The chances are that it will not happen in the next month. Once you reach the number that you can cover current monthly expenses, and you have proved that the side hustle does in fact work. Then you can leap to go all in. Write a comment below and tell us what step you are going to take next? 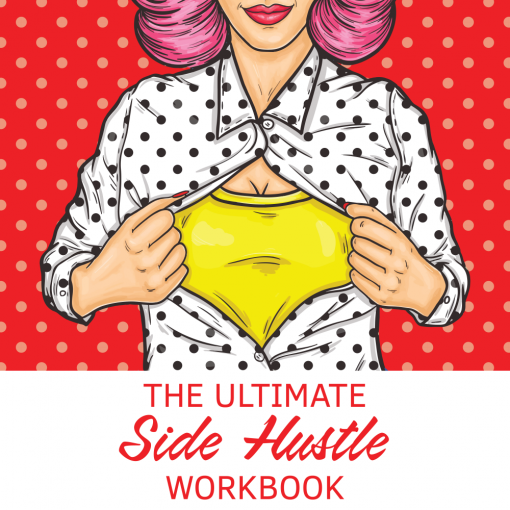 If you are interested in growing your side hustle click here for the Ultimate Side Hustle Workbook!